Got a GoT fan on your shopping list? We’ve got the perfect Game of Thrones gift ideas! It’s everyone’s favorite time of year, HOLIDAY GIFT GUIDE TIME! That means lots of excellent (and budget-friendly) gift ideas for everyone on your shopping list. 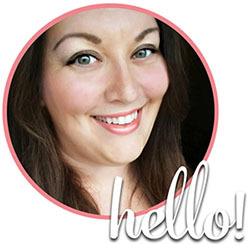 Keep checking back in the coming weeks as I’ll be sharing gift guides for all sorts of people! First up are some fab Game of Throne gifts for all the GoT fans out there. Personally, I have not seen the show (gasp, I know right??) but pretty much everyone I know has, and nearly everyone loves it. There’s a lot of diehard fans out there who would love the stuff on this list. So let’s not disappoint them, and get this show on the road quickly before their favorite character is killed off. That Hodor doorstop, that one gets all the feels, right? Oh, and I’m not even into dragons at all and I think the dragon egg pendant is gorgeous! My husband hasn’t watched this show yet either, but he does love dragons. We have some beautiful hand-painted dragon statues and I bet he would totally love those dragon egg bookends. These Game of Thrones gift ideas are just a little inspiration to get you in the holiday spirit, but any fan of the show is sure to love these fun gifts. Sure beats wrapping up yet another DVD right? If you have a fan of dragons, we recently discovered the artwork of Anne Stokes and my husband is totally obsessed. She’s got some amazing fantasy art that is not necessarily Game of Thrones inspired, but she does have some incredible talent and her work contains a lot of dragon themes. So there you have it, the first in my Holiday Gift Guide series. Be sure to check back in the coming weeks for more awesome holiday gift ideas for everyone on your shopping list. 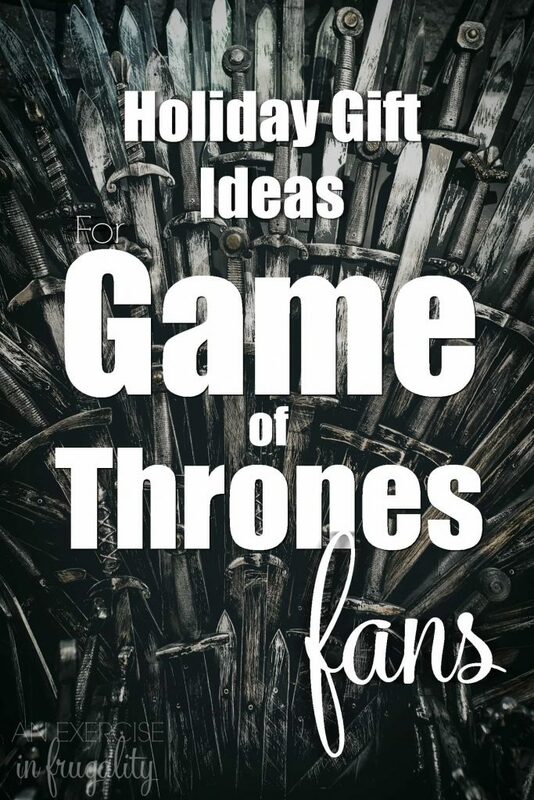 I’m going to feature everything from gifts for Game of Thrones fans to handmade, low cost gift ideas! I can’t wait to share them all with you, I am SUPER excited for the holidays this year. We spent the previous 3 years in Oregon with no family around to celebrate with, then last year we moved back home to Minnesota on Thanksgiving and we weren’t quite settled in yet for the holidays so things were a bit chaotic. This year, I fully intend on enjoying the holidays with family, and really savoring the experience. And maybe even giving Game of Thrones a chance! Don’t forget to check out the rest of the holiday gift guide here. What do you think of these Game of Thrones gift ideas? I love the list! Might have to grab a few things for hubby!